Michelle loved candy as a child. As an adult, she had a vision to create her “Sugar and the Candy Tree” book and candy tree product based on her childhood memories. She wrote the story for her book asked her children to color the images for each page. 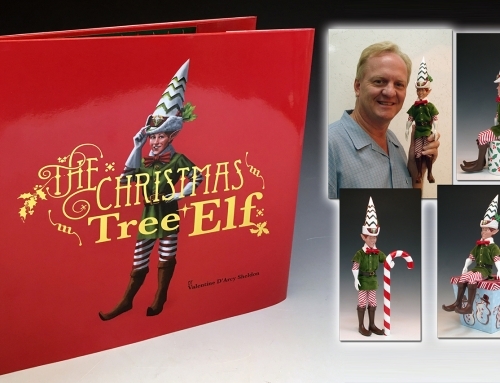 The goal was to design a package that would allow for the sale of the book and tree as a set so parents and children could read the book as a family Easter tradition. The parents would help the children plant the seeds, sprinkle the magic fairy dust before they when to bed, just like in the book. 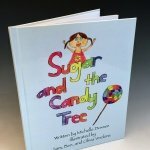 In the morning, the children wake up to find a sparkly, magical, white candy tree covered with their favorite candy, had grown just as Sugars tree had grown in the book. 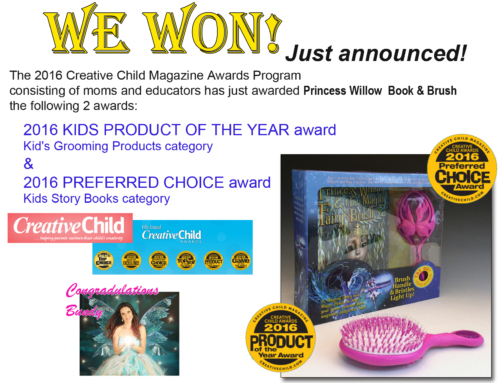 Our task was to take Michelle’s creative ideas and organize then into a viable product. 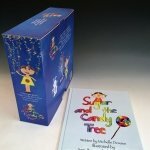 The book and magical fairy seeds needed to be visible in the box that was 12″ square and 3.5″ thick. The biggest challenge was the tree. How do you fit a 2-foot-tall, 14” wide tree into something that size which can be hidden from the children. Magic? 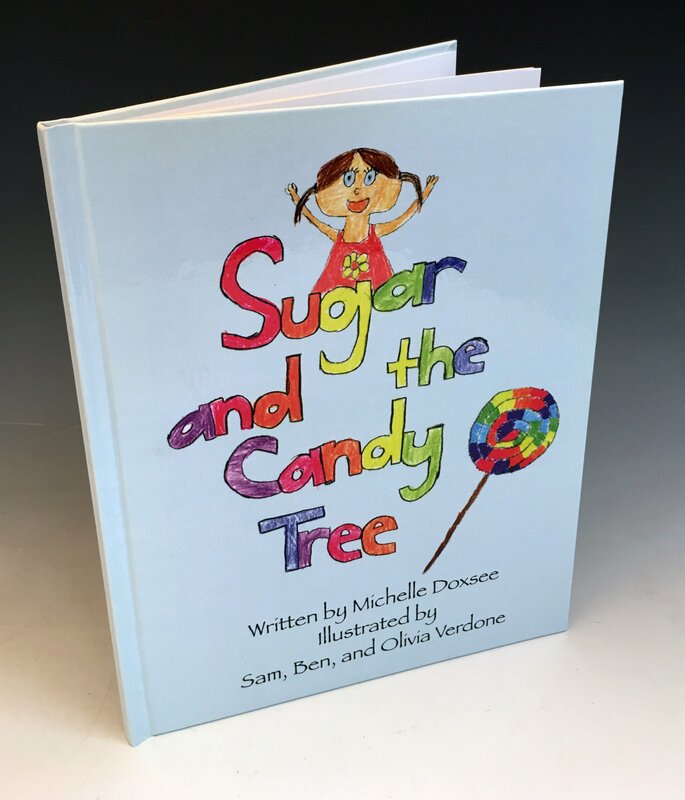 Michelle had written the copy and completed the illustrations for the book. We needed to organize and format the copy and images into a production format ready for printing, and samples were needed very fast. Then we needed to conceive this huge tree that could be manufactured and hidden from children’s prying eyes and that would easily hold heavy candy and fit inside the tiny space in the box. 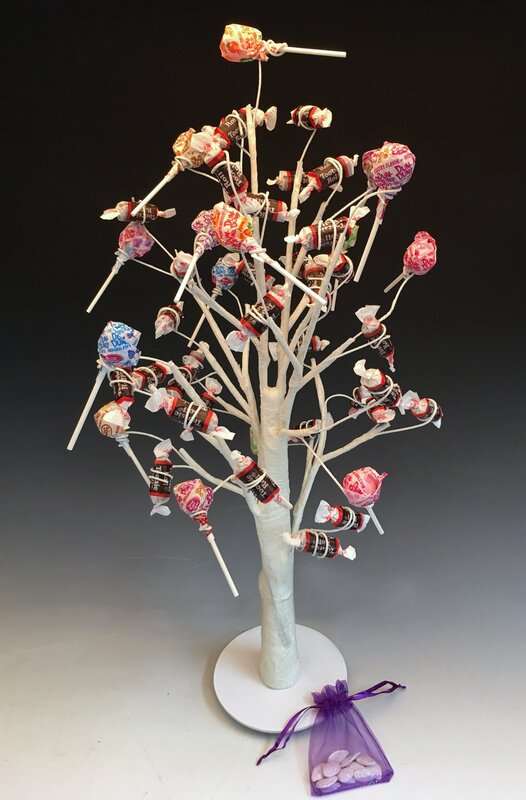 Once the design for the “Candy Tree” was conceived, we needed to prototype it and test for function and hiding in the box AND obtain a visual approval from the client. Whew! 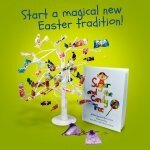 At Sonos, we love the challenge of creating new products and inventions, and this Easter themed book and toy tree set put us to the test. 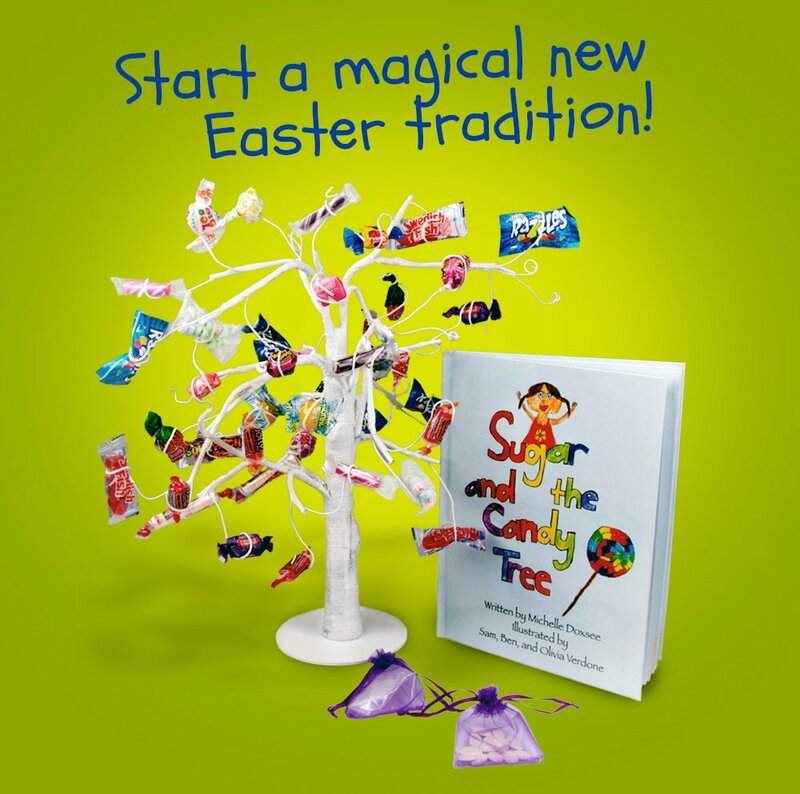 We designed and engineered a solution for the tree that would be able to stand in the ground and hold the weight of all sorts of candy, but it also needed to be easy to work with. The base we created was strong enough for the tree to stand in the ground with a removable base that would also fit into the small space. 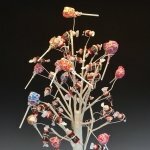 The branches were structured from flexible metal and covered with sparkly, magical goodness; all compact enough to fit into the tiny space in the package we designed and prototyped. We also created a false back to keep the tree hidden so parents could surprise their children with a magic tree that had grown over night. 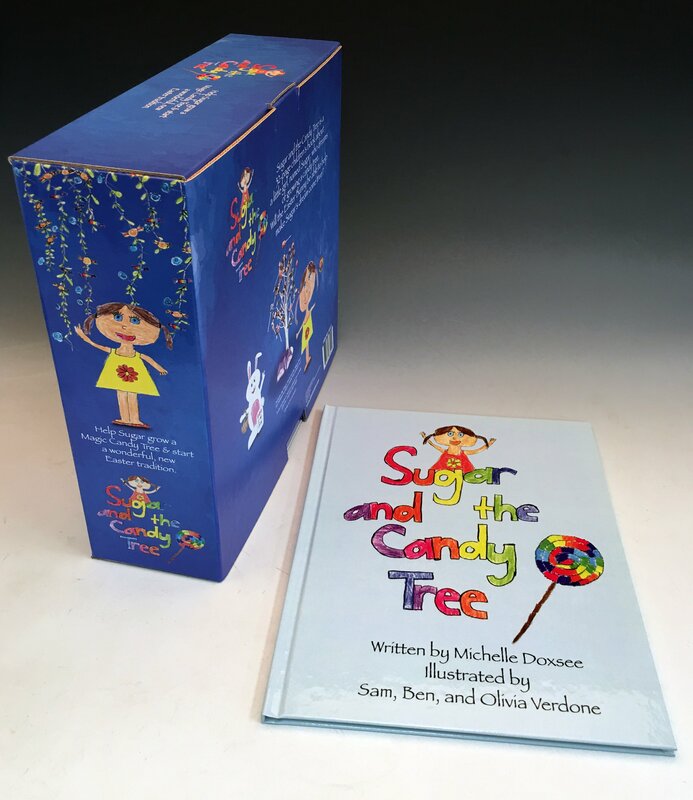 We designed the tree prototype and the retail packaging box, all with Michelle’s approval. The next step was manufacturing. After all approvals, she was then ready for production. We produced her product, warehoused it at our facility and drop-shipped to her customers.